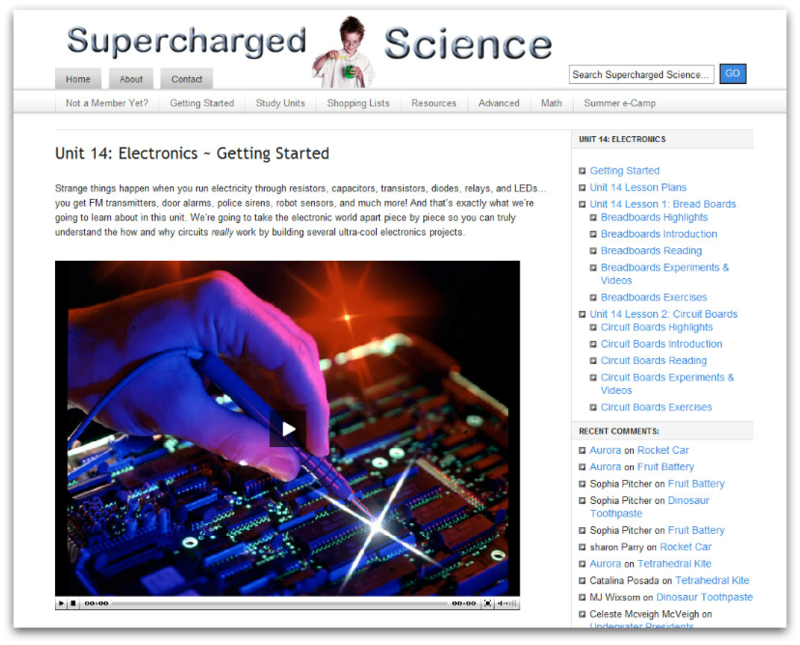 Supercharged Science is an e-science, online learning system for all ages. You can choose to enroll for K-8th grade for $37 per month, or K-12th for $57 per month. The e-science learning program gives you access to over 900 different experiments and videos for learning, thousands of pages of lesson plans, data lab sheets, quizzes, exercises, and reading material. This system is incredibly complete and thorough for your students.We received a 6th month subscription to the complete site for our review. I have mid speed internet and didn't have any trouble streaming the videos. Where to start? There is a User Guide available for getting started to help you know where to jump in. You can begin your science experience by going topical, or by grade level. Once you decide on that you are given choices in several areas of science to utilize. I opted to utilize the program for 5th grade, and include my 6th and 3rd grader in with that. I recently had my niece move in with us, who has always been in public school. I thought it may help me to gauge where she is at. So we went with the grade level 5th and were given options for Chemistry, Life Science, Earth Science and Astronomy. You can do them in any order, and at your own pace. I chose to start with Life Science to learn more about Human Anatomy since that was where my niece remembered leaving off in school. When I click on the Life Science link I am given an overview of Life Science and a complete overview of all of the scientific concepts that will be taught in the complete unit. Additionally there is a list of what the student should be able to do at the end of the unit. From there I looked at the individual experiments, and chose ones that we had the items for, so we could get started right away. There are 37 labs in this unit alone! I chose the first one, robotic arm for the kids to get started. We watched the video together. Let me tell you that Aurora (the owner) is an excellent teacher! She is fun, easy to understand, and clearly shares her love of science. The kids really enjoyed her from the first video they watched. Once I clicked on the experiment we wanted to do I was given a link to print out the information on a worksheet for the kids to have the experiment in front of them, and a worksheet for them to do. I found on some of them we could just use a notebook to write things down, and other times I preferred to print out the worksheet. This video and hands on experiment helped the kids to learn how their tendons and ligaments worked in their hands. Even my 6 year old got in on this project and loved it. How cool is this, that you pull the string and the fingers move, just like a mini replica of our own hands! We decided to stick with our hands and learn about moisture in our bodies with the Foggy Hands experiment. I loved how this experiment showed the kids not only our bodies and how they sweat, but condensation and evaporation as well. As soon as they heard Aurora say they could go outside to fast track this experiment, they were telling me that "She said we had to go outside to play". Brownie points for Aurora! So fun, and so easy for the kids. No prep work for me as the teacher. I don't have a plethora of science knowledge to work with the kids. I simple follow along on the video because I had some younger ones. My older students would be able to do the whole thing on their own. The only thing I wish is if there was a way to find out the supplies I would need ahead of time, before having to click on each individual lab. I have a running list of supplies to order next time I place an order, but it would be great to have something to print out with some of the 'harder to find' items. A way to organize it by grade would be fantastic. One of the best units I found was Unit Zero where you learn the 18 key concepts you need to know before college. This is perfect for my older students! 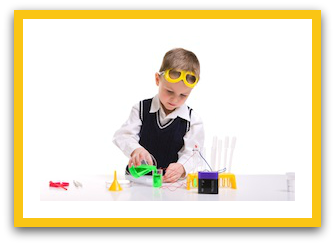 It even is great for getting the younger ones started in their learning of things like Newton's Laws three laws of motion, Maxwell's equations, thermodynamics and much more. It was a good refresher for me as it has been along time since I learned these principles. One of the hardest things about this program is that the kids want to study science all of the time now! They really enjoy all of the experiments and 'crafts' as they call them. There is a natural love of science in this house and they were thrilled with all that they could learn and do. I plan on continuing to use Supercharged Science even throughout the summer. What an excellent time to let the kids run free and do science till their heart is content! There are some sample experiments for you to trial as well for Free by clicking on the link below. 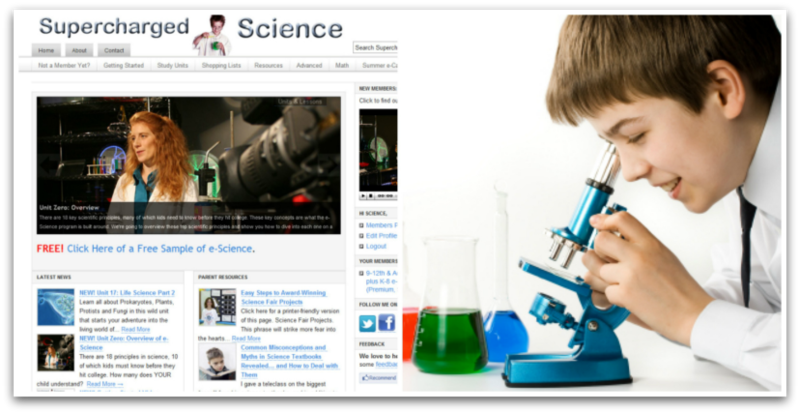 Free Copy of the Science Activity Video Series and Guidebook. Click the banner below for nearly 100 reviews on this program!